The heart of Jesus was pure. 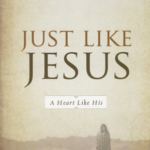 Peter traveled with Jesus for three and a half years, and he described him as a “lamb, unblemished and spotless.” The heart of Jesus was peaceful. The disciples shouted for fear in the storm, but Jesus slept through it. Peter drew his sword to fight the soldiers, but Jesus lifted his hand to heal. The heart of Jesus was purposeful. He aimed at one goal—to save humanity from its sin. “The Son of man came to seek and to save the lost.” His heart was spiritual. He took his instructions from God. It was his habit to go to worship. He memorized scripture. His times of prayer guided him. John 5:19 says, “The Son does whatever the Father does.” The heart of Jesus was spiritual. Let ours be the same.